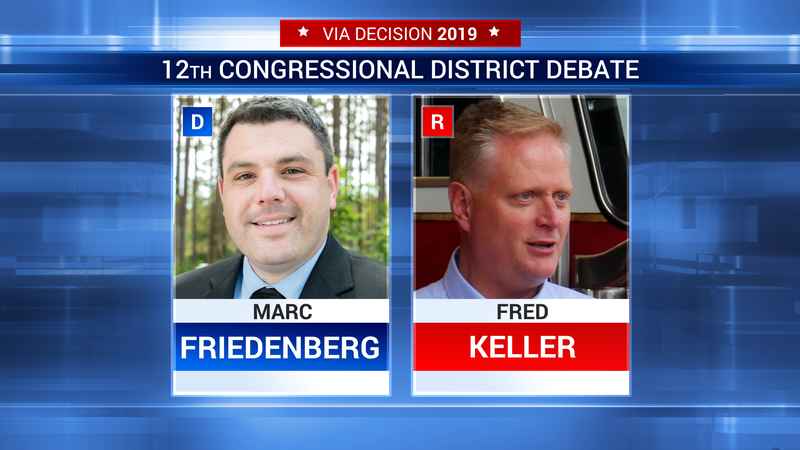 College professor Marc Friedenberg (D) and state Rep. Fred Keller (R) are running in a special election to fill the vacant seat representing Pennsylvania's 12th Congressional District in the U.S. House. The election will be held May 21, 2019. The vacancy occurred following the resignation of former Rep. Tom Marino (R) on January 23, 2019. The debate will broadcast live from the Sordoni High-Definition Theater at the WVIA Studios in Pittston, PA on Thursday, May 2 at 8 p.m. and will be simulcast live on VIA TV, Radio and streamed live at wvia.org. The moderator for the debate will be VIA’s Larry Vojtko. A limited number of seats are available for the debate on a first-come, first-served basis. Rerservations can be made here.